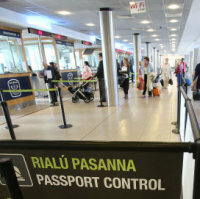 People who holiday from Dublin are to enjoy an expanded airport from 2020, it has been announced. Dublin Airport says it is building a second runway. Planning permission was originally given nine years ago. But the credit crunch and a drop in footfall put the plan on ice until now. Wherever holidaymakers travel out from, some constants apply - such as the wisdom of taking out trusted travel insurance. Such cover protects people should their flights be delayed or cancelled. It can also reimburse them for lost luggage, and travel documents and stolen possessions. The 2007 planning permission restricted Dublin Airport from staging any take-offs or landings on its new runway from 11pm-7am. This would mean busy periods such as 11pm-midnight and 6am-7am would have to be bypassed. Another stipulation is a ceiling of 65 landings and take-offs from 11pm-7am generally. Back then, Dublin handled 72 flights during that period, a figure that has now reached 99. But an airport spokeswoman says that applying the same restrictions today compares with the M50 getting an extra lane and motorists not being permitted to drive on it. The airport will also have to deal with local residents. It is offering to acquire a minimum of 40 properties most affected at what it calls the proper "market price". Officials are also looking at helping other residents with their insulation. They have already set up chats with St Margaret's and Portmarnock residents' groups. Possible buyouts, insulation deals and expansion proposals are all on the agenda.